I’d never made Mozzarella from scratch before I saw this. It’s kind of fun. 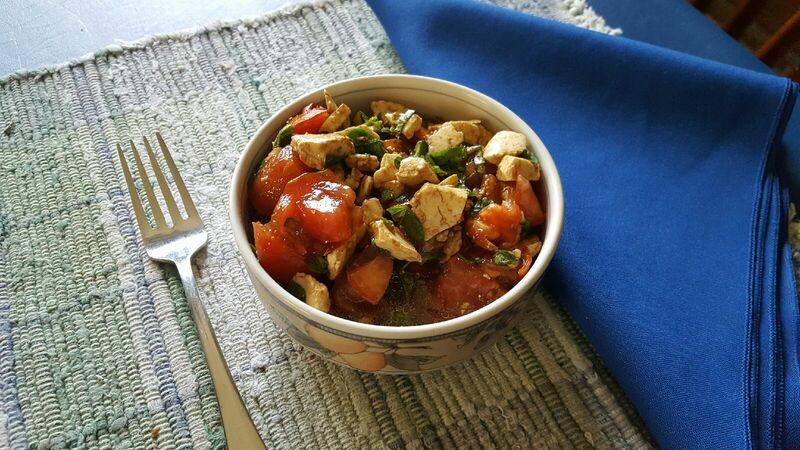 This recipe makes a little more than is shown–but I ate them before I took the picture. Wasn’t bad for my first try! Pour milk into a large, stainless nonreactive pot. Add citric acid or lemon juice to the pot. Heat milk to 90 degrees. Remove from heat. Dissolve Rennet in 1/2 cup of hot milk. Add to whole milk mixture. Let sit for 1 to 2 hours. 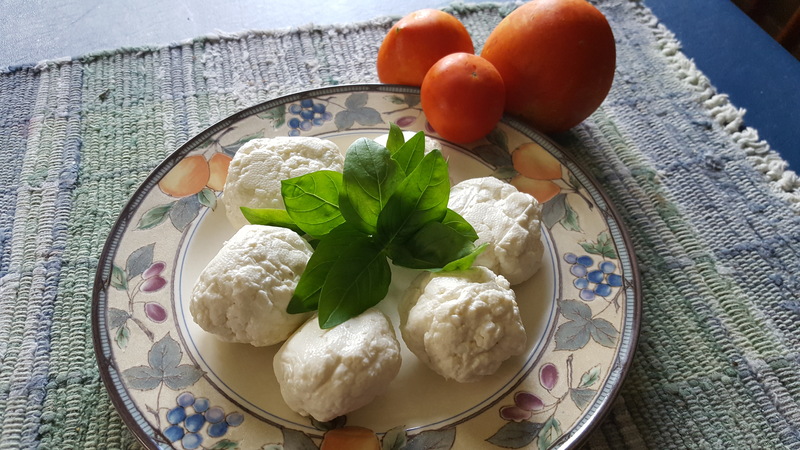 Strain in cheesecloth and refrigerate curds until ready to pull mozzarella. Bring 2 quarts of cold water to a boil. Place curds in a Pyrex glass bowl. Add 1 tablespoon of salt or more. (Most of the salt is lost in the process.) Add boiling water. Place rubber gloves on. Knead curds, submerging in hot water as necessary until you get a clean, silky, outer surface. Fold into a ball. Place back in leftover whey or wrap tightly in plastic wrap. Refrigerate until ready to serve. Slice fresh mozzarella and layer on sliced tomatoes. Add basil and drizzle with EV Olive Oil. Season with cracked pepper and sea salt. Now I understand why it’s so expensive! where do you buy rennet? You might find it in the grocery by asking for Junket.